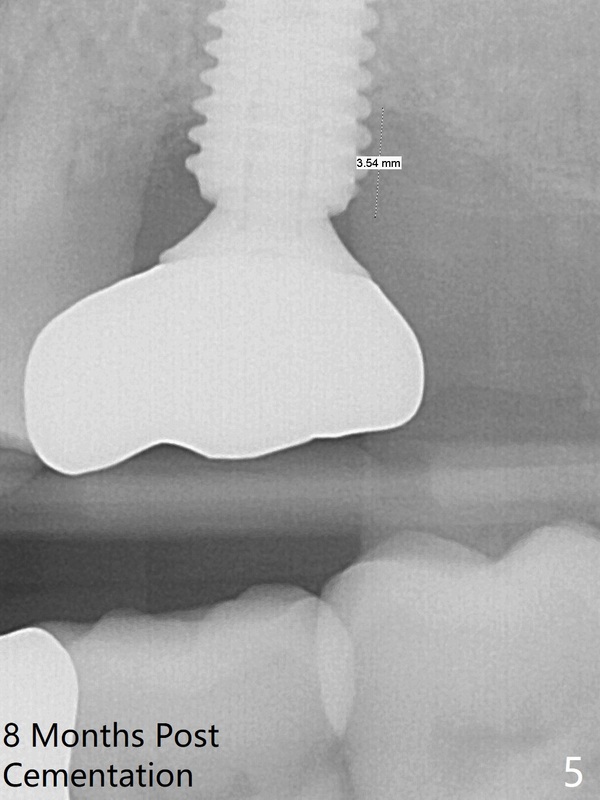 The mesiodistal width of the root of the extracted tooth #15 (much shorter than the buccopalatal one) is 5-6 mm, which is a reference for the diameter of the immediate implant. 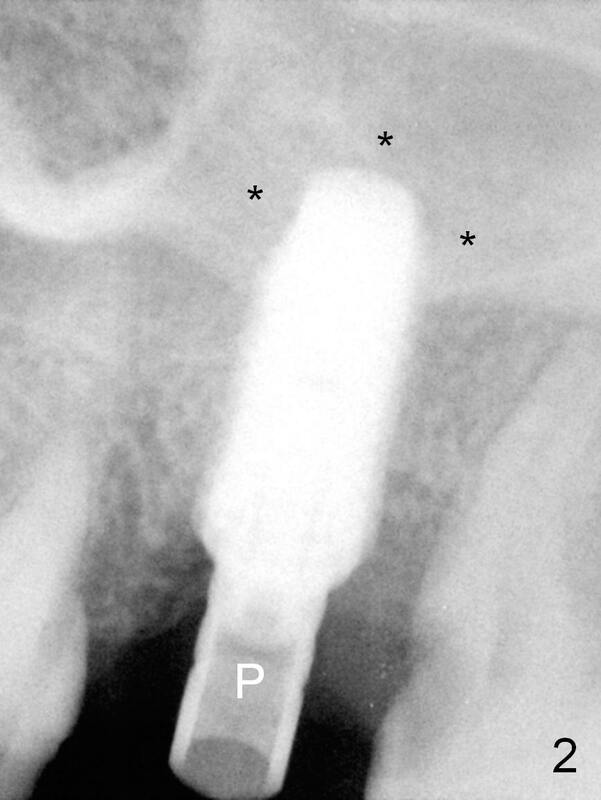 The length of the root is 11 mm (reference for the implant length). 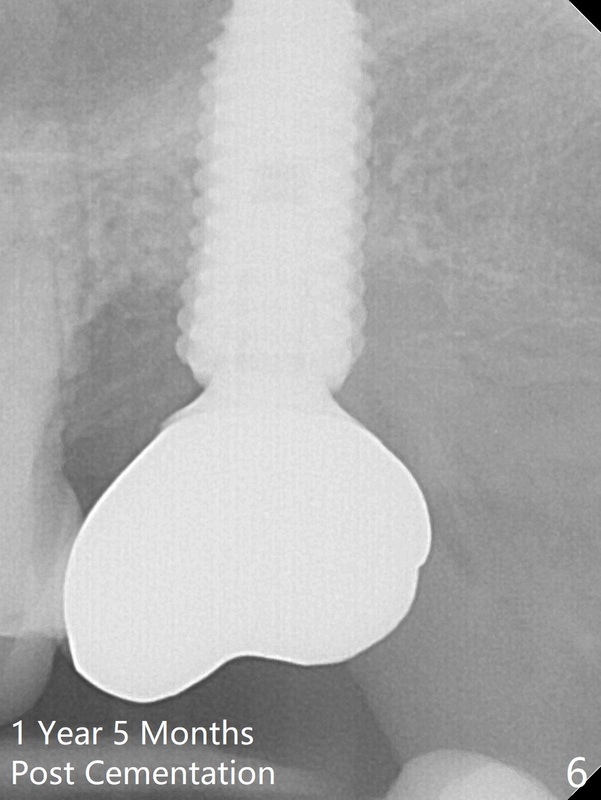 In fact, the socket depth is 14 mm, measured from the gingival margin. Osteotomy starts using RT 2-4 from 14 to 17 mm, followed by 4.5x20 mm tapered tap (Fig.1 (^: sinus floor)). 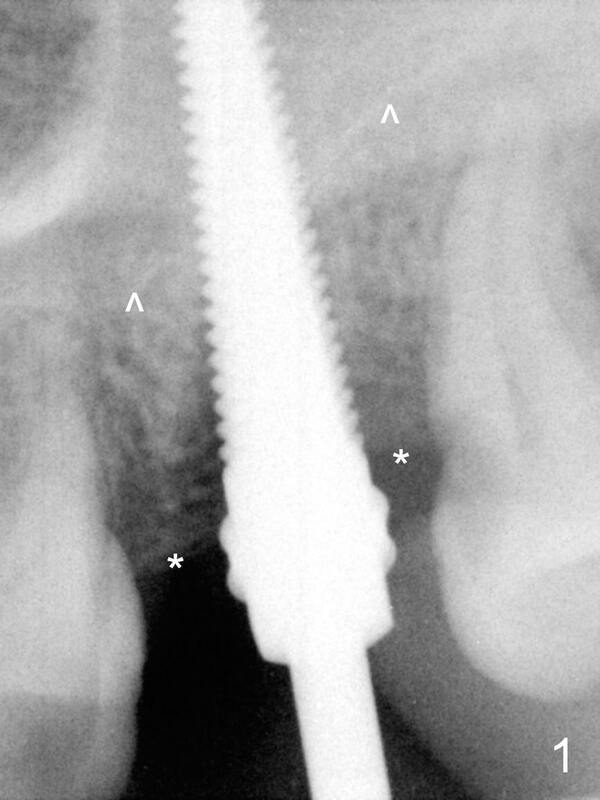 Since the bone is soft, a 5.5x13 mm pre-mounted (Fig.2 P) implant is placed following insertion of a 5 mm tap. 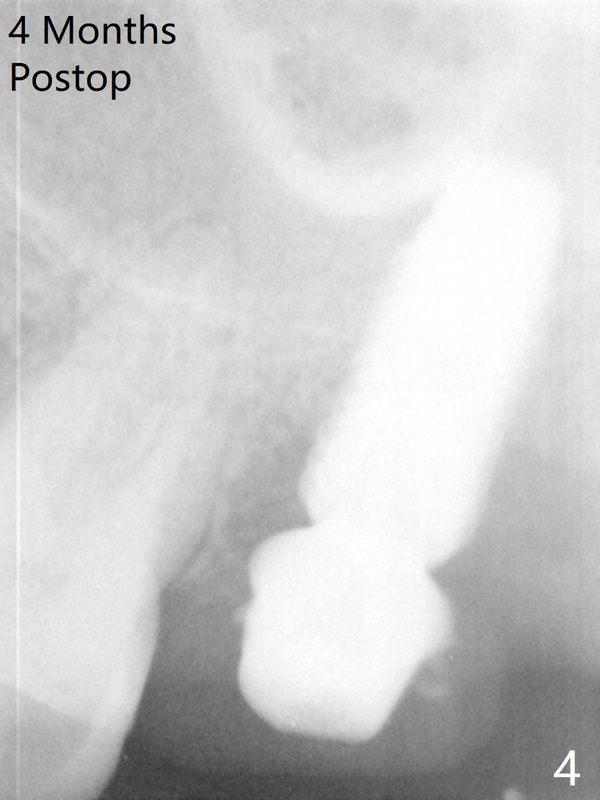 Allograft/Osteogen is placed prior to implantation for sinus lift (Fig.2 *). Before removing the pre-mount, a second round of graft is placed in the buccal and palatal socket gaps until the implant plateau. After removing the pre-mount and placing a 6.5x4(2) mm abutment (Fig.3 A), the 3rd round of the graft is placed between the implant plateau and the abutment margin. The fourth round of grafting is unexpected. 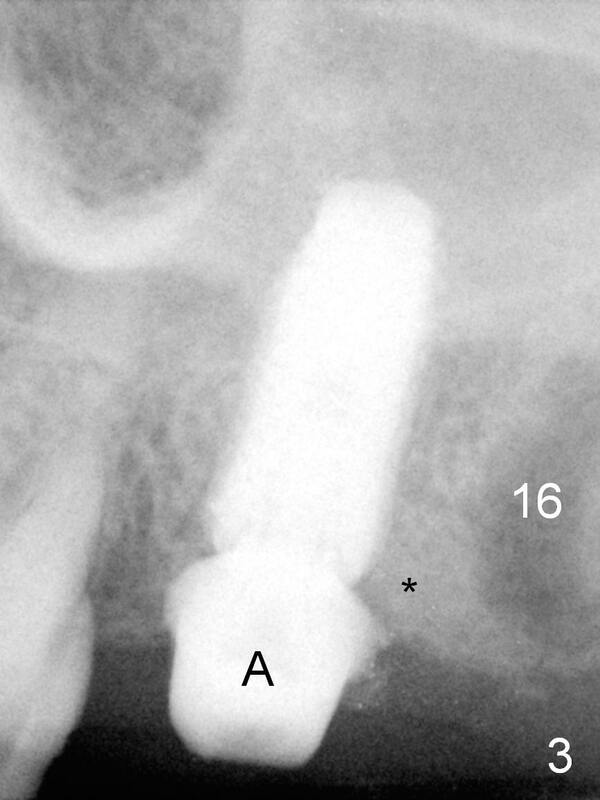 When the tooth #16 is extracted (Fig.3: 16), the distal implant threads are found to be not covered by the bone, as indicated by asterisks in Fig.1 (more distal crestal resorption than the mesial one). After inserting collagen plug into #16 socket, more graft is placed distally (Fig.3 *). As planned, an immediate provisional for #15 is extended distally to cover the opening of #16 socket. The provisional remains in place 4 months postop with slightly erythematous gingiva (Fig.4). Periimplantitis develops 7 months post cementation (Fig.5 (implant should have been placed 3 mm deeper)) and appears under control with Water Pik (Fig.6 (1 year 5 months post cementation)), although there is chronic periodontitis. Periodontal maintenance seems essential.